Or, more accurately, I think it's about time I asked someone to buy me a DSi. After all, my birthday isn't too far off and my parents are always looking for gift ideas. 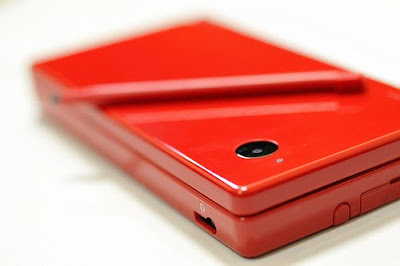 Unfortunately, it seems Nintendo won't be celebrating the occasion by (finally) releasing the slick, red DSi (above) that hit store shelves in Japan last year and in Europe earlier this year. Noooooo! Hold out for a 3DS! 3DS!!!!! Oh, don't worry -- I plan on getting a 3DS at some point, too, though I'll probably wait until the first, inevitable redesign (just like I passed on buying a DS until the DS lite was released). I'll most likely have a 3DS when they come out. Robb's WAY EXCITED about the Kid Icarus rebirth.